Family law problems force us to say goodbye to treasured elements of the past while facing the prospect of an uncertain future. But all of your bridges need not be burned. The future, through wise legal and financial planning, can be a prosperous one for you and your loved ones. At Prendergast & Associates, P.C., we use skill and experience in family law to guide you through these troubling legal issues. Contact us today at 303-797-3300 to speak with an experienced family law attorney. We have law offices conveniently located in Littleton and Parker, Colorado. We have experience handling a wide range of family law issues, from child support disputes to domestic violence incidents. We understand that family law issues present difficult personal, emotional and psychological problems in addition to financial difficulties. We help our clients get the therapeutic resources they need to cope with the personal losses they are facing. 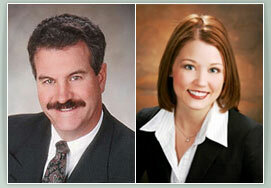 We are prepared to handle the most complex, contentious and high-asset divorce cases in Colorado. We are lead by Paul A. Prendergast, a well-respected voice on family law issues who has been practicing law since 1983. He and our knowledgeable legal team are prepared to provide you with the best possible chance at a brighter tomorrow. Leave your most sensitive legal problems to us. 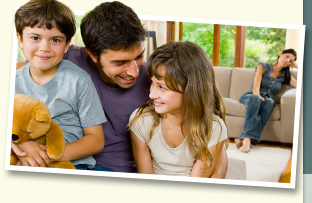 If you are facing a difficult family law problem, we can help. Contact us today online or by telephone at 303-797-3300 to speak with an experienced Colorado family lawyer. For your convenience, we offer free initial consultations and accept Visa, MasterCard and Discover credit cards. At Prendergast & Associates, P.C., we serve clients from Littleton and Parker, Colorado, and throughout the surrounding areas, including the cities of Brighton, Castle Rock, Centennial, Cherry Hills Village, Commerce City, Englewood, Franktown, Golden, Greenwood Village, Highlands Ranch, Kiowa, Lakewood, Lone Tree and Sheridan; Arapahoe, Adams, Denver, Douglas, Elbert, Jefferson and Lincoln Counties and throughout the Front Range, Denver Tech Center (DTC) and South Denver regions. © 2010 by Prendergast & Associates, P.C. All rights reserved.